What do you know! Zero turned into a teapot! 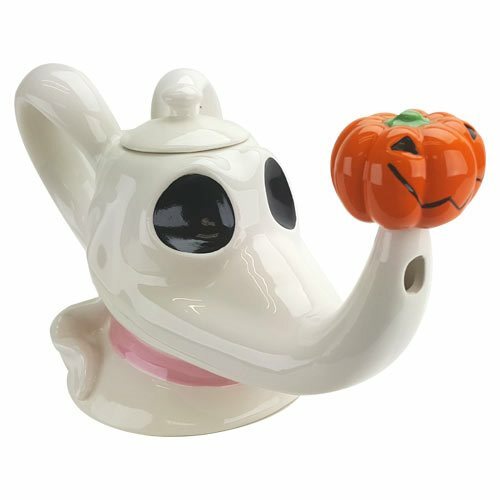 At least, that's how it appears with this amazing Nightmare Before Christmas Zero Head Ceramic Teapot that's shaped like his head. In bright, bold colors, it measures approximately 12-inches wide x 7 1/2-inches tall x 5-inches long and comes in a gift box. Zero will brighten up any stovetop or kitchen décor! Ages 15 and up.